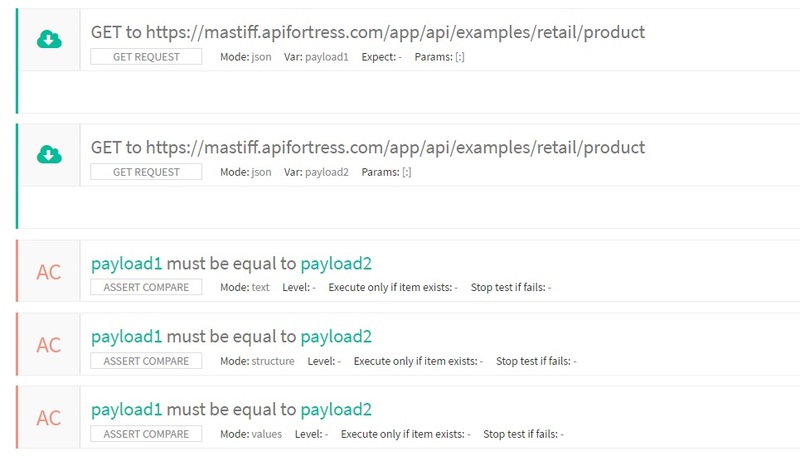 Allows you to compare two payloads in terms of text, structure or values. Expression 1: the first payload you want to compare. Expression 2: the second payload you want to compare. Mode: the comparator you wish to use. Text compares the text of the two payloads as plain text, values compares the two payloads regardless the text layout, structure compares only the structure of the two payloads. Level: Specifies, when the assertion fails, whether it should be considered an ‘error’ or just a ‘warning.’ A warning will not trigger alerts (such as email or text messages). Stop test if fails: The test will be immediately stopped if the assertion fails.